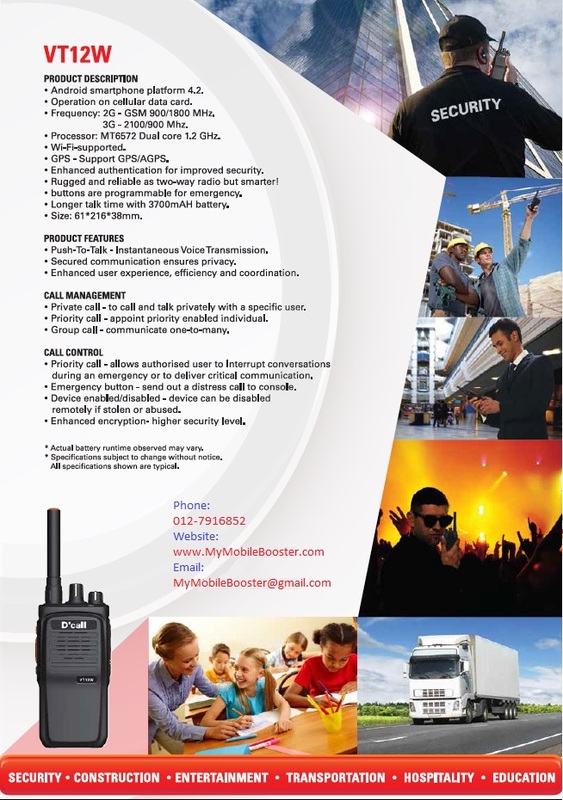 We supply IP Walkie Talkie Malaysia that let the communication group stay connected under Wifi and/or GSM / 3G / 4G network, you do not need to bear with bad connectivity, cross inteference noise due to limited bandwidth for traditional type of walkie talkie anymore ! IP walkie talkie comes with lots more of functions compare to traditional walkie talkie, and the device is now free with 2 year contract ! After two year, the device belong to you. IP Walkie Talkie is ideal for application such as Security, Construction, Entertainment, Education, Hospitality, Transportation and etc. No GSM/ 3G / 4G signal inside building, how ? If mobile signal coverage is a problem inside building, MyMB mobile signal booster product could solve your problem, by approaching us, you can rest assure that both your mobile signal coverage and walkie talkie communication issues be solved at the same time. 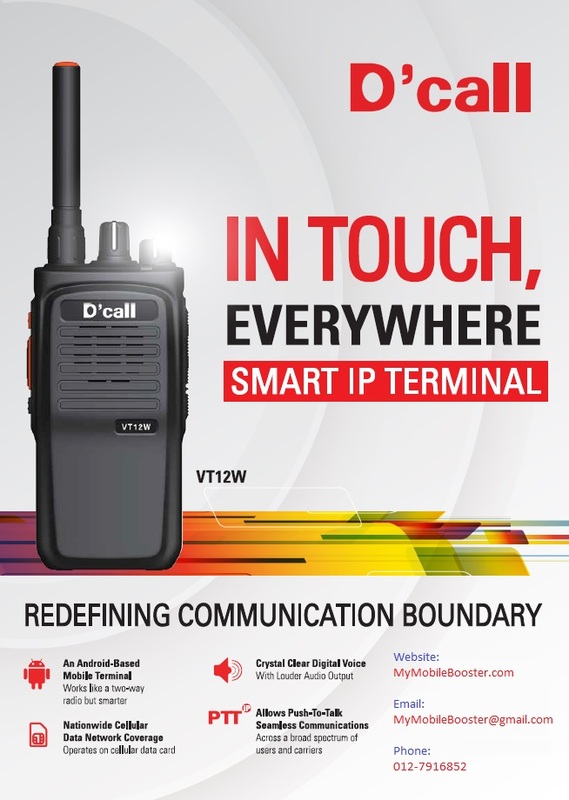 An Android based IP Smart Terminal, VT12W is powered by Radio over IP Technology and operate on a nationwide cellular data network coverage. It allows PTT real-time seamless communications across a broad spectrum of users and carriers without any boundary restriction. Rugged and reliable as a two-way walkie talkie but smarter! Private Call – to call and talk privately with a specified user. Emergency Button – Send out a distress call to console.